When Jackson native Nashlie Sephus was working on her doctorate degree at the Georgia Institute of Technology (Georgia Tech), she met Jewel Burks. Burks had a startup business idea that came out of her work in customer service at the parts department of a manufacturing company. The idea came from a common problem Burks had dealt with—people call the parts department of manufacturers and try to describe the part to a customer service representative. It’s often a time-consuming process, made even worse if the wrong part shows up days later. Burks, a business professional who saw the market potential, asked Sephus if she could help solve this problem with technology. Sephus, who was studying machine learning and image recognition for her Ph.D., thought it was a great idea for a company. She also liked the idea of working with another ambitious African American woman on the project. Partpic was born, and based on the prototype work, it met with success, especially by way of pitch competitions. 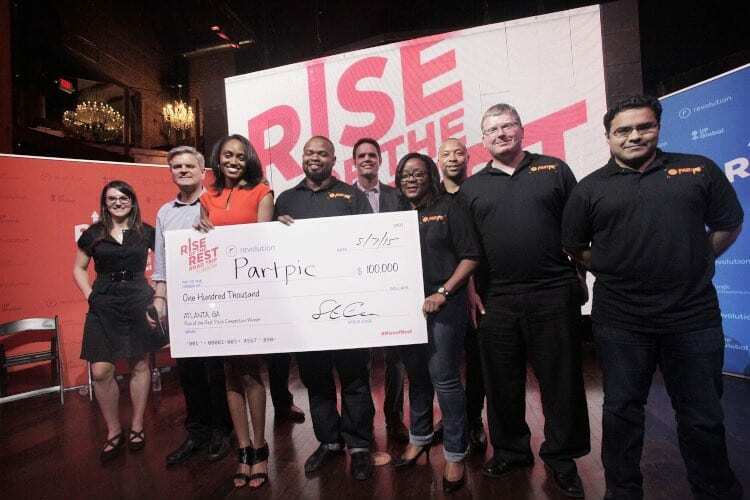 Partpic got to the finals at TechCrunch SF 2014, won Nashville’s 36/86 in 2015, won the SXSW 2016 Accelerator Pitch and won $100,000 from Revolution’s “Best of the Rest” competition in 2015. Over time, the company was able to raise $1.5 million and the team grew from three people to 10. Early in the company’s life, Sephus turned to a childhood friend, Ivan Walker, for help. Both had been in the APAC program in Jackson Public Schools as middle schoolers, and both had graduated from Murrah High School. Sephus got her bachelor’s from Mississippi State; Walker got a bachelor’s and master’s from Jackson State University. Walker moved to Georgia Tech for Ph.D work, starting his studies focused on “real-time” big data aggregation, but then changing fields to the study of behavior-based robotics. Ultimately, he settled on work to advance neurological interfaces for computing. Sephus got Walker involved at Partpic on a contract basis in 2013; later, once the company was more fully funded, Walker came on board full-time in 2015. Sephus left a consulting job in New York and moved back to Atlanta around that same time to serve as CTO for the company full-time. Pitch competitions and conferences played a strong part in the success of Partpic; at a conference in Boston in May of 2016, where Sephus gave a presentation about Partpic, a man approached her and gave her a business card; he worked at Amazon and—unlike a lot of the business card exchanges that happen at conferences—he actually called after the conference. Once Partpic proved that the product worked and it cleared the legal and accounting hurdles, the company was acquired in November of 2016 by Amazon, retaining its Atlanta location and much of its team. 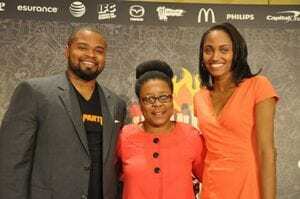 Sephus said she didn’t encounter Innovate Mississippi on the way “up” with Partpic since it was an Atlanta-based venture; she met Innovate’s Tasha Bibb at a Jackson-based awards ceremony (Sephus was awarded “Innovator of the Year”) and Bibb invited Sephus and Walker to be judges at the 2018’s Startup Weekend in Jackson. “Pitch competitions connect you to the right people. 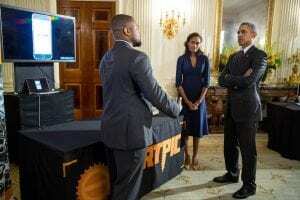 We were able to present Partpic to President Obama at the White House; but we wouldn’t have had that opportunity if it wasn’t for these competitions and the network that we could make work for us,” Sephus said. 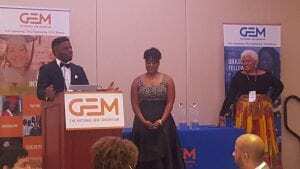 For her part, Sephus intends to give back to that network here in her home state of Mississippi; she’s starting a non-profit company in Jackson called “The Bean Path” designed to help budding entrepreneurs vet the technology behind their business ideas and get quality feedback from mentors such as Sephus and Walker.